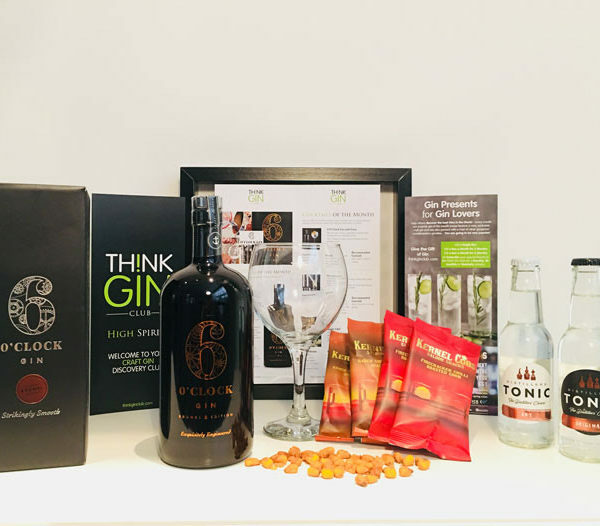 This month’s beautiful gin of the month is 6 O’Clock Gin! This craft gin is a stunning gin handcrafted in small batches, using traditional stills and only the best natural ingredients. The 6 O’Clock name was inspired by the long-held family tradition of indulging in the first G&T of the evening at 6 o’clock. 6 O’Clock Gin is a craft gin brand owned and operated by the family-run, artisan spirit company, Bramley & Gage. The 6 O’Clock story starts nearly 30 years ago, when Edward and Penny Kain owned the Dittisham Fruit Farm in the South Devon. The wonderful flavour of 6 O’Clock Gin emerged through experimentation: carefully selected botanicals, led by juniper, precisely balanced for a refreshingly clean taste. Other botanicals include elderflower, orange peel, orris root and angelica root. For the perfect serve, pair with fresh lemon and tonic water.